The collabrative design series Interpretations by none other than Joji Locatelli and Veera Välimäki! This series follows the journey of two friends from opposite sides of the world combining their love of their countries (Argentina and Finland) and beautiful knitwear. 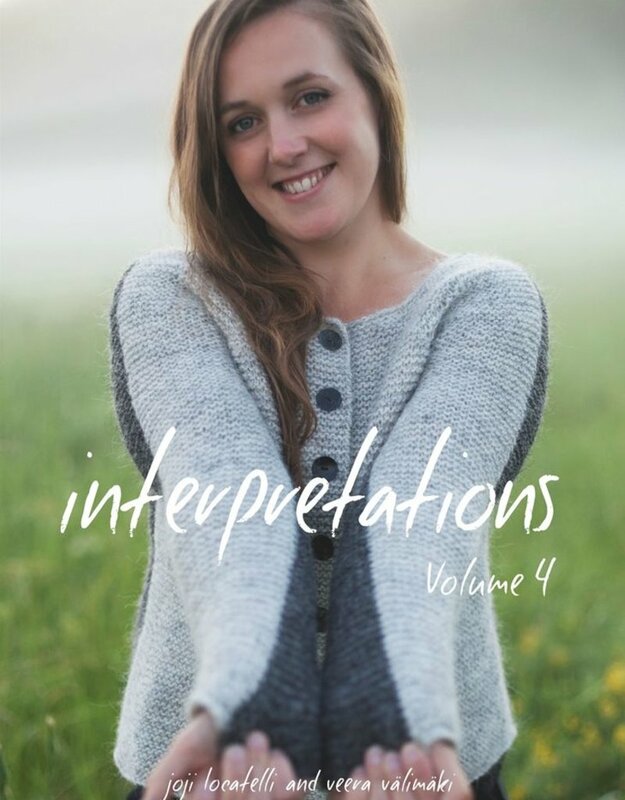 As with the past three books, Volume 4 took six words as its starting point, which each designer has translated to create their own narrative for the patterns. Volume 4 sees Joji and Veera step outside their comfort zone, making bolder colour choices and experimenting with new yarns, while still staying true to their signature styles. The whole collection was captured by photographer Jonna Jolkin in the same location as Volume 2, Veera’s native Finland. The duo said that the ease they felt on returning to this familiar location allowed the designs “to really shine and sparkle“. After seeing the particularly magical shots taken at midnight during a midsummer evening, we have to agree! Each volume includes six themes: six words with two designs inspired by each word, showing a personal take on each of these themes. These lovely books are destined to become collectors items, not to mention beautiful resources of patterns that you're going to want to come back to time and again. 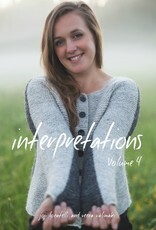 Volume 4 features 12 garment and accessory knitting patterns using yarns from a variety of yarn producers. Printed in London // 100% FSC certified uncoated paper // softcover // 114 pages Includes digital download – a Ravelry download code will come with your book.